To meet demands of the customers in an effective manner, we are offering the best-in-class Platform Trolley. Manufactured by making use of supreme quality stainless steel and others, these products are in compliance with the defined parameters of the industry. These products are prominently used in railway stations, airports, hospitals and other research institutes. Our commitment towards quality enables us to bring forth commendable Cage Trolley. 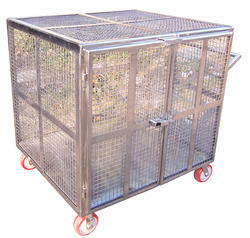 These cages are manufactured by making use of high standard steel, sourced from trust worthy vendors. Complying with the defined quality parameters of the industry, these products with stunningly designed fencing and wheels. 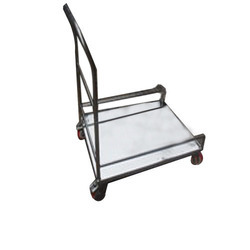 Looking for Stainless Steel Trolley ?